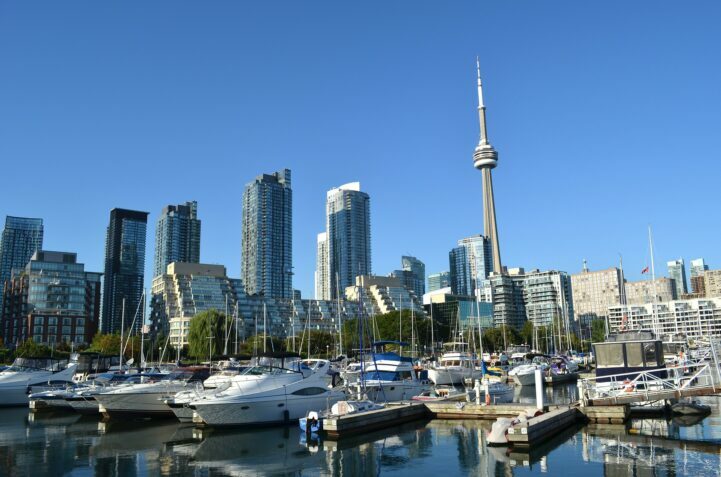 The tide is turning quickly for Southern Ontario real estate, especially in Greater Toronto. Numbers from the Canadian Real Estate Association (CREA) show declining sales, and more new listings in October. Despite this, only 6 out of 27 major markets are in “buyer’s market” territory. First let’s look at sales, where BC markets are leading in percentage growth compared to last year. In first is Vancouver, which saw 3,073 sales, a 34.5% increase compared to the same month last year. Fraser Valley came in second with 1,735 sales, a 24.8% increase compared to last year. Trois Rivieres, Quebec came in third with 96 sales, a 23.1% increase. The largest declines in sales were all observed in Southern Ontario. The largest decline was in Toronto, which saw 7,118 sales in October. This represents a 27.1% decline compared to the same month last year. Niagara came in second with 515 sales, a 23.8% decline from last year. Kitchener-Waterloo came in third with 473 sales, an 18% decline from last year. The greatest percentage growth of new listings wasn’t located in any of the country’s global cities. Regina saw the largest growth with 548 new listings in October, a 21.5% increase compared to the same month last year. Saint John came in second with 313 new listings, a 19% increase compared to last year. Edmonton came in third with 2,880 new listings, an 18.7% increase from last year. The markets of Vancouver, Toronto, and Montreal landed right in the middle of the list. Vancouver saw 4,636 new listings in October, a 14% increase compared to last year. Toronto saw a massive 14,903 new listings, an 11.4% increase. Montreal saw 5,778 new listings, virtually flat from last year. So, what do you do with the sales and new listings numbers? You can get a basic read on whether you’re in a “buyer’s market,” or “seller’s market” using a sales-to-new listings ratio. When using the sales-to-new listings ratio, anything below 50% is a buyer’s market. This means the negotiation should be in favor of the buyer, and you can expect softer ask prices. Anything above 50%, and the you’re in a seller’s market. This means the market is in favor of sellers, so expect firmer prices and less concessions. The closer to 50, the more balanced the demand. That said, here are the numbers. The largest increase in sales-to-new listings ratio was observed in Ottawa. The nation’s capital saw a sales-to-new listings ratio of 62.9% in October, an 11.6% increase compared to this time last year. London came in second with a ratio of 79.1%, a 9.5% increase. Montreal was in third with 61.2%, a 6.5% increase. The biggest losers were all located on Lake Ontario. In first was Toronto, with a sales-to-new listings ratio of 54.7% in October, a 17.9% decline compared to last year. Hamilton was in second with a sales-to-new listings ratio of 68.6%, a 15.2% decline. Niagara was in third with a sales-to-new listings ratio of 73.1%, an 11.3% decline. TL;DR: Greater Toronto and the surrounding regions continues to soft sales with an increasing amount of inventory. Meanwhile, Greater Vancouver and the surrounding regions are seeing sales grow faster than inventory. Toronto real estate is a nightmare, and not because it’s “unaffordable.” Condos are now listing for the same prices as townhomes, detached units vary by hundreds of thousands on the SAME street. As someone looking to buy, it’s not that I’m scared of the home being profitable in 20 years. Sellers are acting irrational, and I don’t want to gamble to find out which ones are right. 100% how I feel. There’s semi-detached homes where one side sells for $400,000 less than the other half. I get that one is renovated, the other isn’t – but a whole extra house worth of upgrades? Nope, not likely. Yes it is… because you’re paying $100k – $150k per floor in renovations, the convenience of just moving in without having to do renovations, and time/money spent living elsewhere while renovations are happening, and avoiding the permits/design/headaches involved in renovations. how many sq ft is this floor? that’s a massive range… are there kitchen and baths on every floor? Vancouver will get there. When earning six figures barely gets you a place in the city, something’s gotta give. 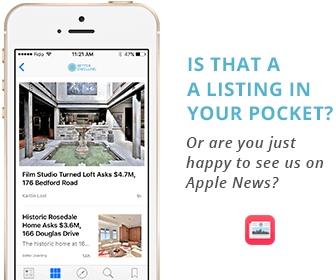 Isn’t new listings a misleading metric? I casually watch real estate listings in a variety of places across Canada and I routinely see properties being repeatedly shown as new listings. Vancouver sales data is a direct result of the foreign buyer’s tax that has been implemented in Toronto. Foreigners moved back to Vancouver, driving up sales numbers temporarily. Vancouver sales number will settle low as foreigners find Vancouver price too high, or over priced. The foreigner effect will wane soon and there will be real panic among detached home sellers as there is no one to buy multi-million dollar homes any more. Unfortunately, there are too many boomers wanting to maximize profits as well as speculators waiting for the price to go up even further. There are numerous of accounts of friends and family members who say that their parents are not willing to sell their multi-million dollar homes as yet. Many speculators and sellers are withdrawing listings expecting the same kind of uptick months after the foreigner buyers tax was kicked in 2016. But, this time, they will be wrong. First, there is accumulation of potential sellers. Second, interest rate will continue to go up. It will get worse as summer approaches, instead of bouncing back after slow spring months. The last chance just passed for detached home owners. Add to this, China’s asset bubble is very close bursting. Vancouver is particularly vulnerable. Nice fantasy. Of course, it could all happen the other way.. It was just a few months ago buyers were panicking. And it all starts with the pent-up demand, a more likely scenario. In Vancouver real estate business is at top level. Whether we are talking about Condos or apartments everything is listing for the same prices as town homes. There are number of properties across Canada. You can’t keep borrowing from banks forever. All this is debt. Can’t go on forever. There are no solid fundamentals behind all this (price) rat race. Matter of time and all will come down. That will be the time to jump in..